Sega and Red Entertainment's popular Sakura Wars series has never seen release in North America, denying English-speaking fans of both tactical military action and dating sims an opportunity to experience the game. No more! Today NIS America announced that Sakura Wars: So Long, My Love will be coming to North America this Fall, letting PlayStation 2 and Wii owners find love in between bouts of steam-powered mech battling. For those unfamiliar with the long-running series, the strategy role-playing game offers a chance to foster relationships with cute, doe-eyed anime ladies, as well as let off some steam in ground and air-based battles. 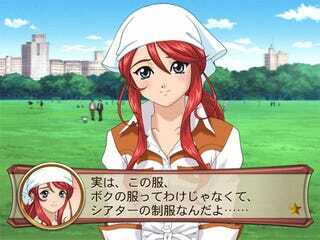 For followers of the Sakura Wars series, the North American localization appears to be based on Sakura Wars V, which landed on Japanese PlayStation 2s in 2004.